To get the juices flowing ahead of England’s adventure in Russia, we’re going to be looking back at a unforgettable moment from the Three Lions’ World Cup canon. This time out we revisit an opening gambit that shocked one and all. England were not backed by a great deal of optimism as they headed for Espana ’82 despite the excitement surrounding their first World Cup jaunt in twelve years. In the event Romania spurned a golden opportunity to finish second to Hungary by drawing two and losing one of their games in hand, their late collapse not helped by the fact that their best player had recently defected to Germany. By hook and by crook England were somehow through. Mostly though the tempered build-up resulted from injury concerns for Kevin Keegan and Trevor Brooking, arguably England’s two most influential stars who had a crocked back and groin strain respectively. It’s been stated in the years since that the two-time European Footballer of the Year and consummate Hammer travelled to Spain half-fit. In reality, was this not a tournament of vital importance in re-establishing England’s credentials on the world stage, neither player would have been anywhere near the plane. Still, there were causes for hope, namely a squad packed with promise. In nets stood Peter Shilton in his prime; the vast experience of Phil Thompson and Mick Micks calmed at the back; there was the Manchester United midfield pairing of Ray Wilkins and Bryan Robson; and up front, in Keegan’s absence as his back healed to half-fitness, was Trevor Francis, Britain’s first £1million striker. From Greenwood’s pool of 22, nine had won the European Cup. First up was France, they of the ‘Carre Magique’ midfield consisting of Michel Platini, Alain Giresse, Jean Tigana, and later the Spanish-born Luis Fernandez; a team and nation very much in the ascendancy who would go on to reach the semi-finals in ’82 and then triumph on home turf at the Euros two years later. Of course nobody knew this at the time. At the time they were simply the hardest challenge in England’s group that otherwise had a beatable Czechoslovakia and the minnows of Kuwait. The memorable moment took place just 27 seconds into the contest and for the deadlock to be broken so soon in any game is worthy of note: for it to be the opening World Cup game for two prominent countries it’s little short of staggering. Think about it; think about the absorption taking place in that debut minute as the players assimilate some monumental truths. After months of talk and friendlies and pressure and anticipation this was it, the World Cup was underway. 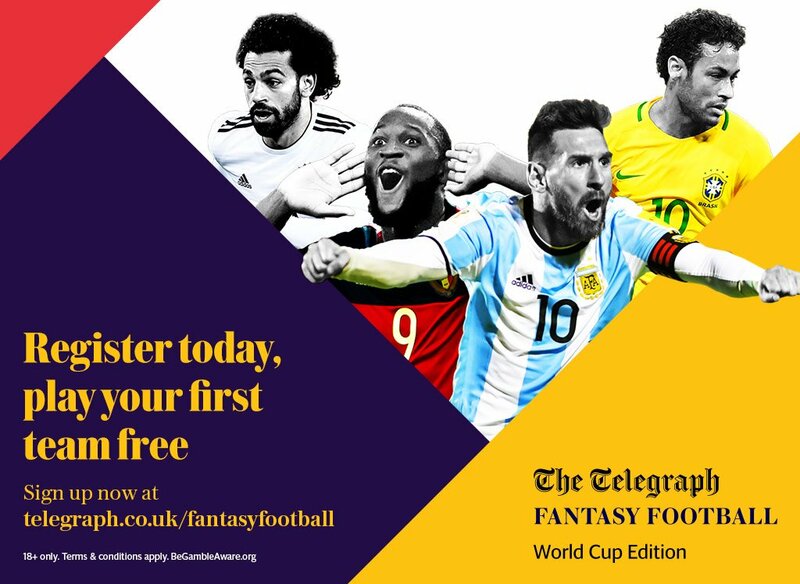 Do Kane and Salah make it into your Telegraph World Cup Fantasy Football team? Play for free to win £25,000 here! For the fans too those nascent minutes are usually spent taking in the surroundings; the beautiful sun-splashed San Mames Stadium in Bilbao and their boys in Admiral red competing in their first World Cup for a generation. Amidst all this contemplation a throw-in advanced down the England right was flicked on by Terry Butcher and it bounced invitingly up for a Bryan Robson close-range volley. The French full-back was nowhere to be seen. He was presumably still absorbing. It was a goal accompanied by shock from England fans and not least the scorer himself who jumped twice on the spot the second time landing into the arms of Butcher. On such moments momentum can build. On such moments history can be made. “What a start for England. Amazing,” John Motson cried; his voice sounding like it was coming through a landline. To that point it was the fastest World Cup goal in the post-war era. Better yet, it was a lead capitalised upon even if France equalised midway through the first half. With twenty minutes to go Robson helped himself to a second with a header of real poise and shortly after that 21-year-old Paul Marriner concluded matters with a late dried finish. Who needed Keegan and Brooking? England were back on the world stage. Despite conceding only one goal from their five matches and not losing a single game the flawed format of the tournament resulted in an exit from the three-way round robin second round. 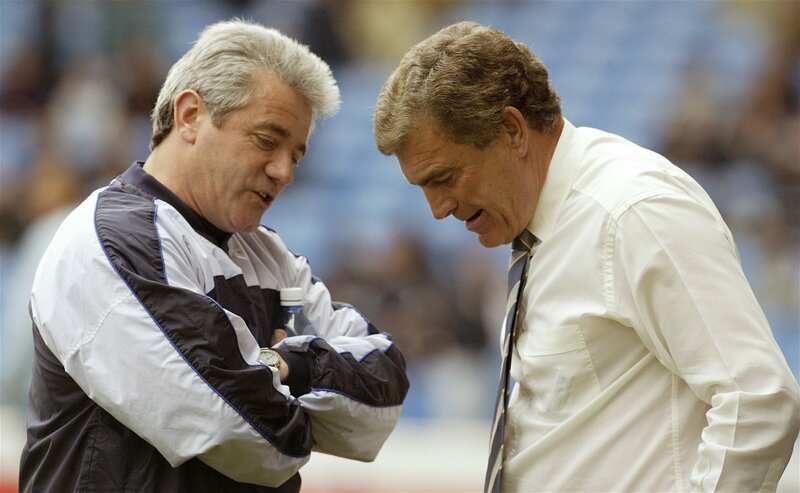 To progress England needed to beat Spain and very late on the ball flew across for a patched-up Keegan. He sent his simple header wide. Paid for content with ‘The Telegraph Fantasy Football World Cup’.